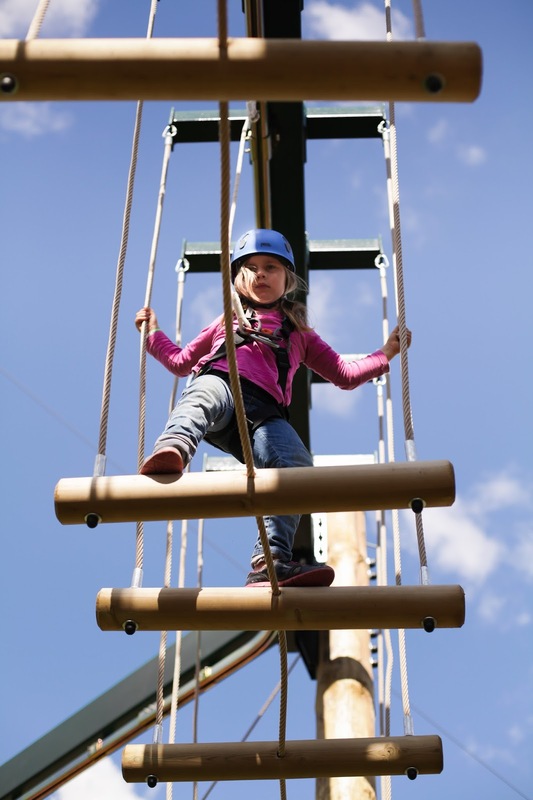 We have just had a great day at Conkers, which is situated in the National Forest in Derbyshire (they are planning to plant 30 million trees...). 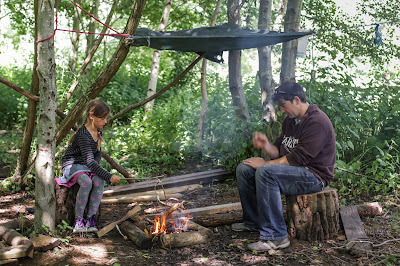 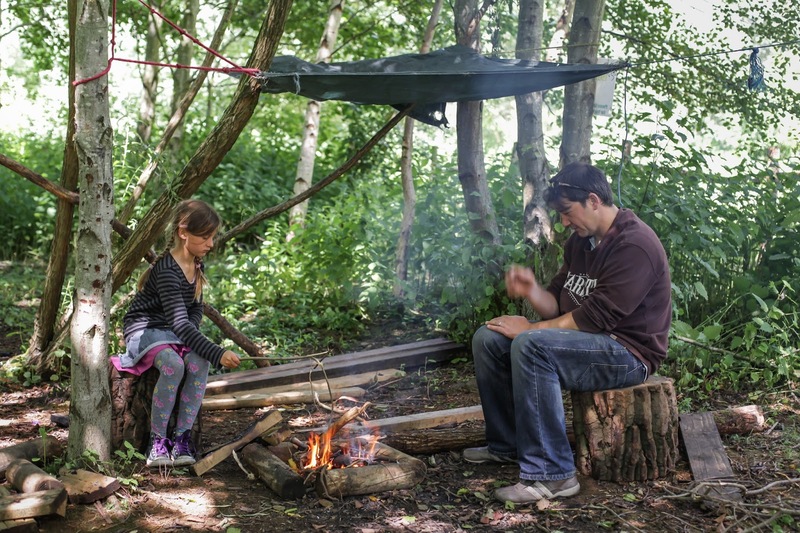 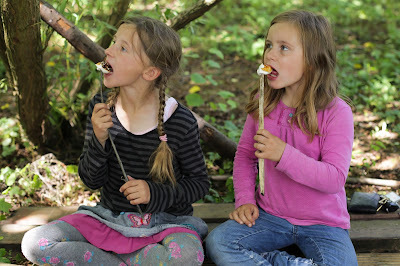 We had a bushcraft session which involved making shelters, building fires, and toasting marshmallows. 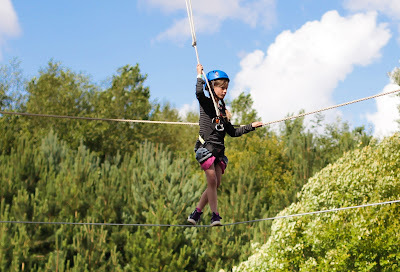 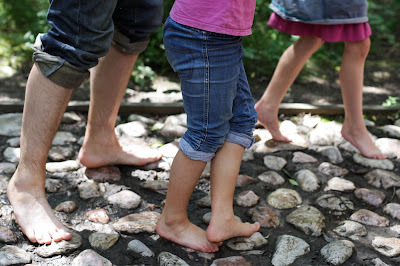 We then went on to obstacle courses, walked barefoot through mud and freezing cold water, and then balanced on ropes way up high (well, the kids did). 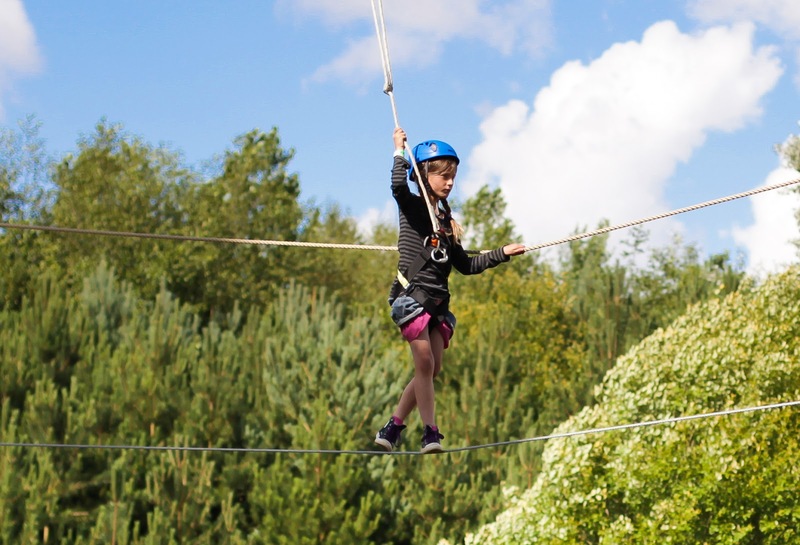 There is so much to do at this attraction which covers 120 acres of maturing woodlands, lakes, ponds and play areas - an excellent day out!